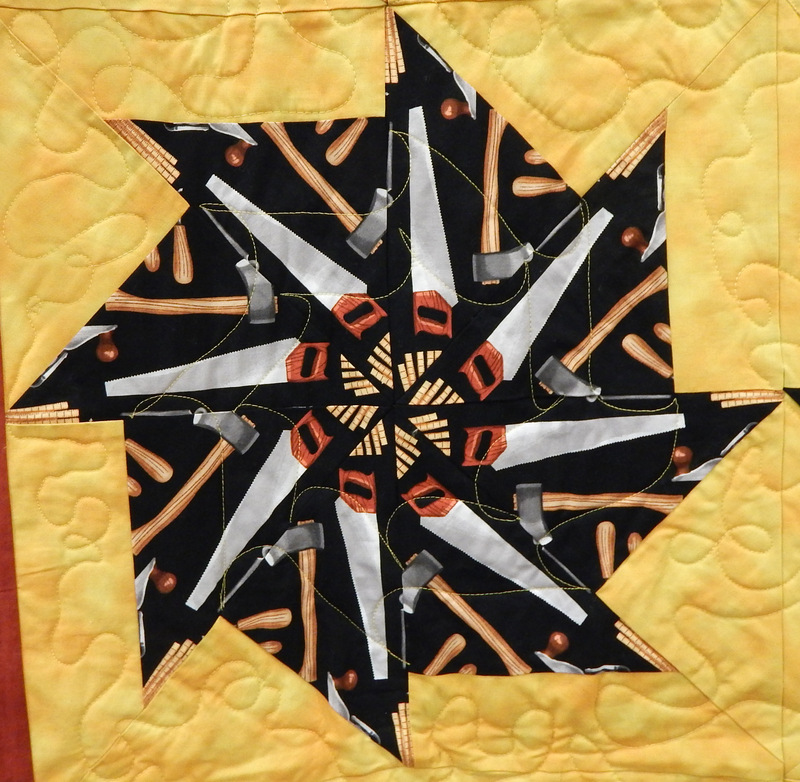 I am away at a retreat this week, so here, at last, are more of the wonderful quilts from the Vermont Quilt Festival. 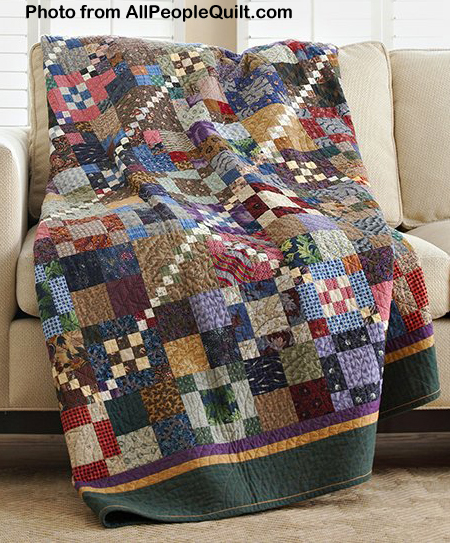 I know, it’s been 3 months, but they’re still great quilts! 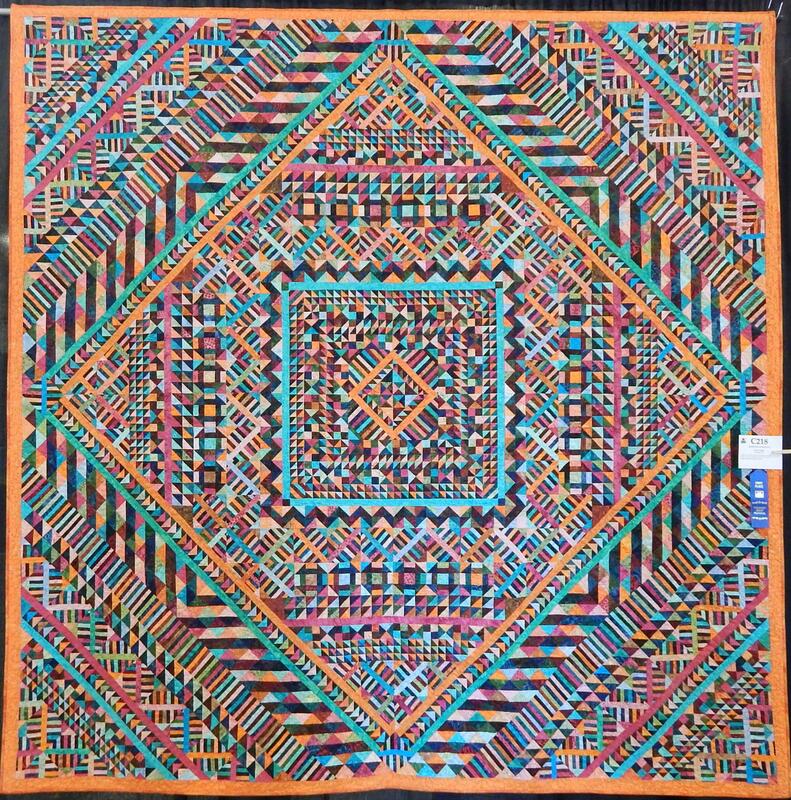 Most are art quilts, meaning they have no likely use to keep anyone warm, but I enjoyed the innovative techniques used in them. Party Lanterns (detail) by Jean Potvin. 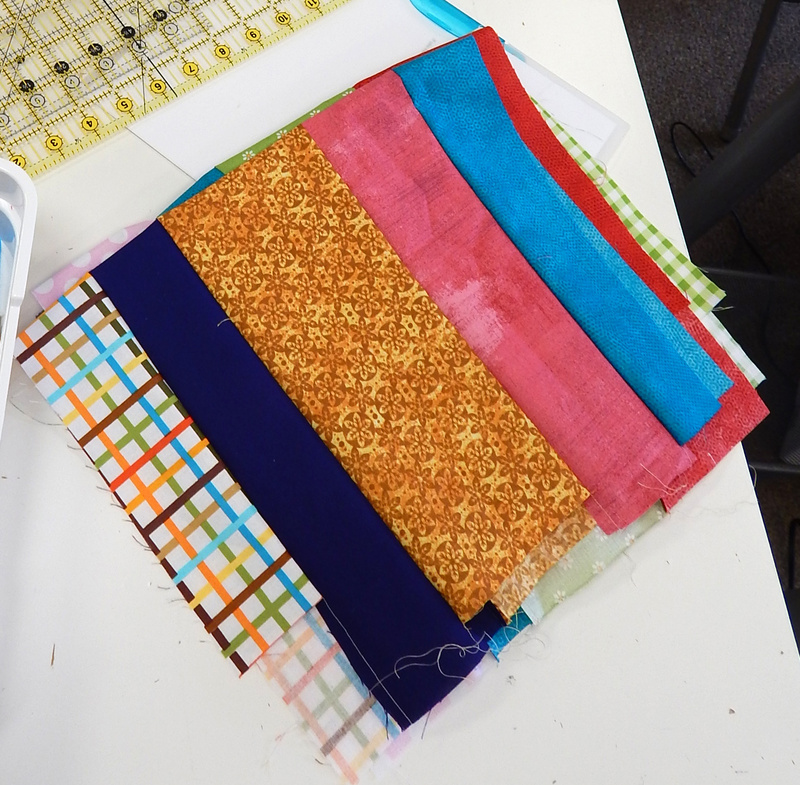 The strips are about 1/2″ finished! Zoo Bound by G Wong. This was made for a niece going to college! Take A Left at the Wall and Keep Going by Lois Nial. This was one of my favorites. 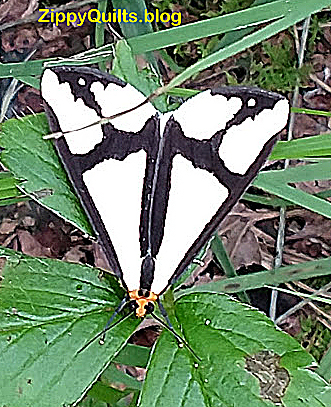 Kimimila by Beverly Cook. This quilt is round, and looked like stained glass. I can’t decide whether the light blue is too light or not. It may be clearer either way when there are more blocks. I’ll be teaching two fun classes between now and Christmas (yes! It is coming!) at Studio Stitch in Greensboro, NC. 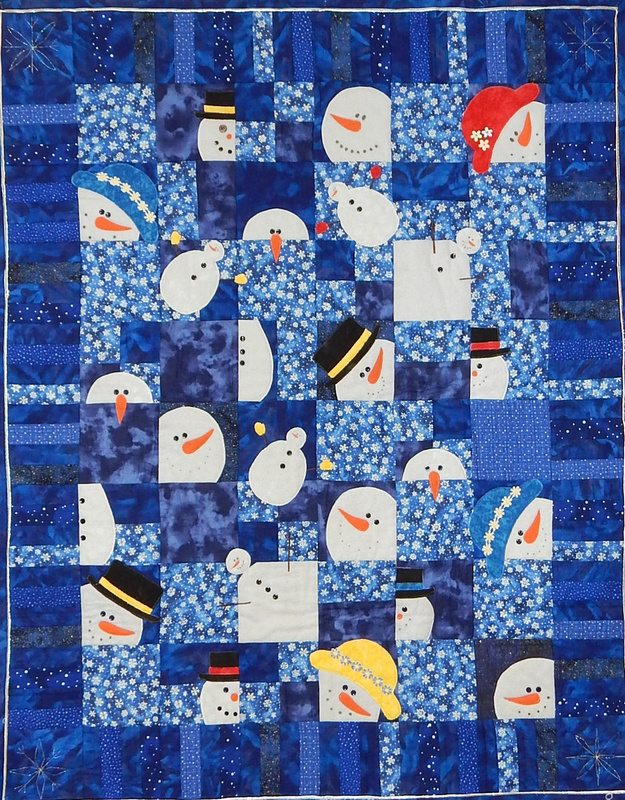 The first, scheduled for Saturday, November 3, is a pattern called “Frosty Flakes” from Sew Special Designs. 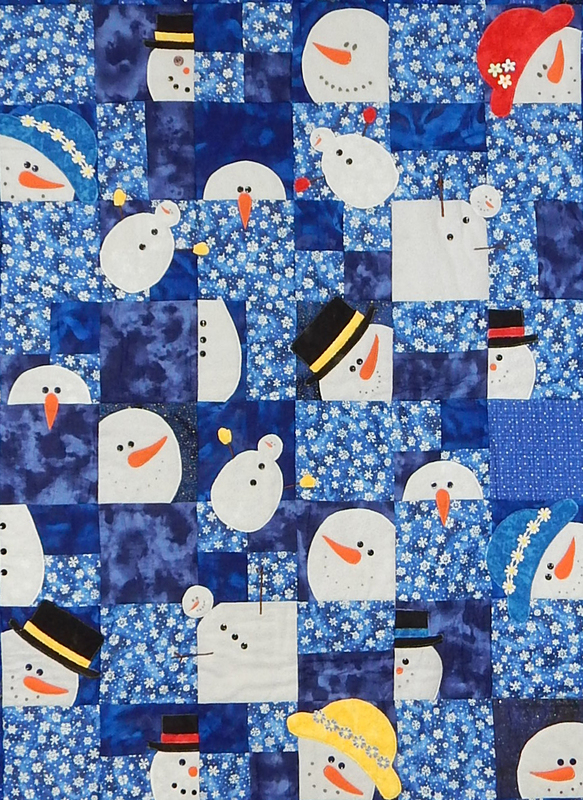 I actually made this half size just by reducing the patterns for the snowmen by 50% on my copier. 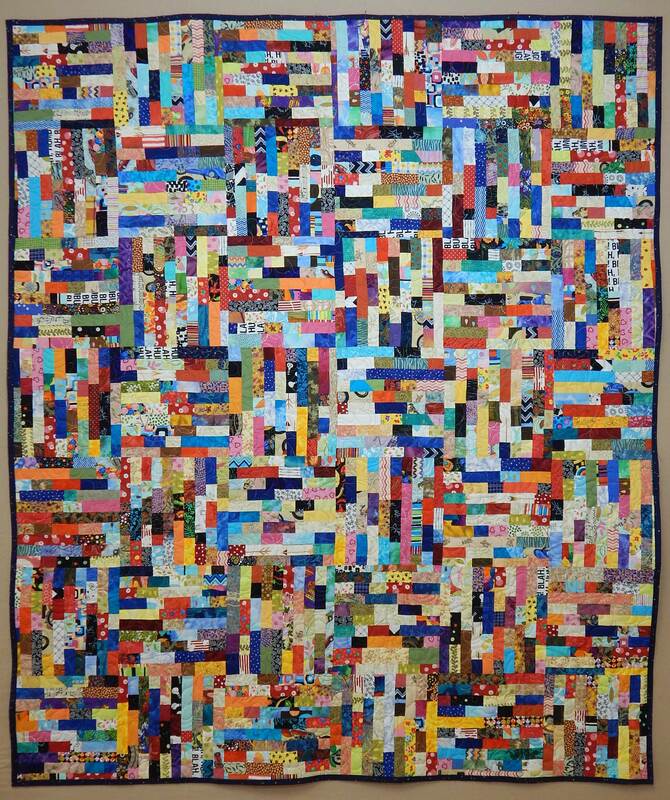 It makes a good child’s quilt or wall hanging at this size. The full size pattern is lap size. The other class is the place mats you’ve already seen. 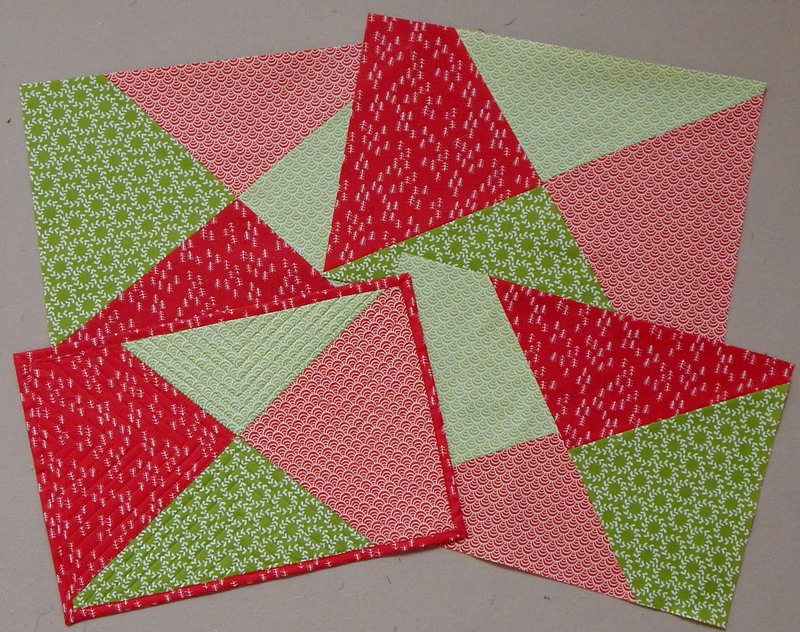 I made them from the shop’s current collection of Christmas fabric, but they are quick and easy so I often make them from other fabrics to have on hand for hostess gifts. If you’re near Greensboro, come join us at Studio Stitch! 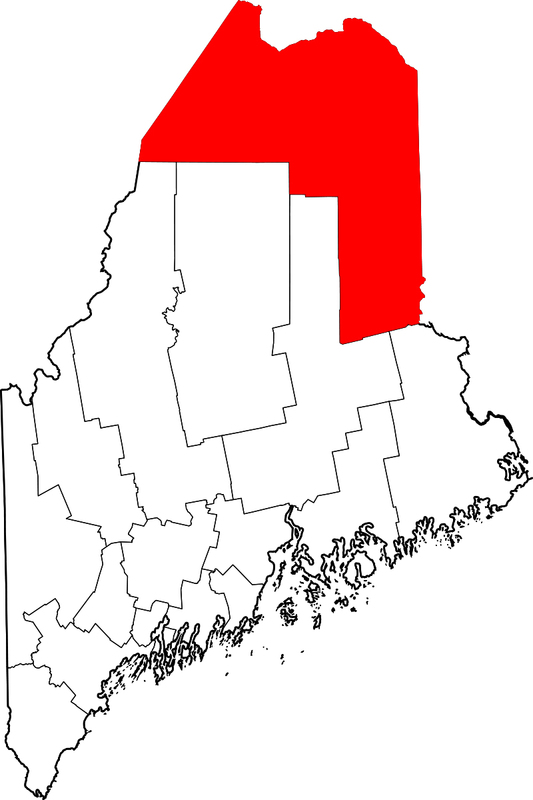 Aroostook County, Maine, land of place setting carriers. Courtesy of Wikipedia. This is a $5 pattern available on Craftsy. Click the label under the picture to go to the page where you can buy it. 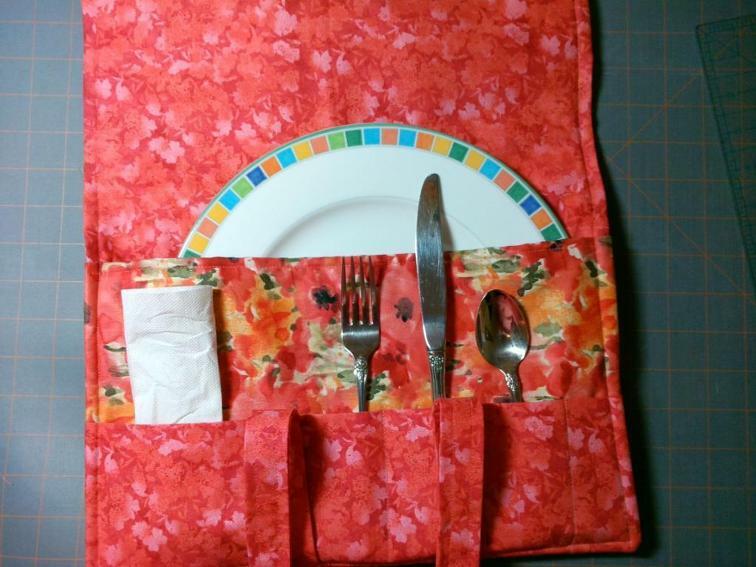 Here is a listing from Etsy for a place setting carrier that you can buy already made. 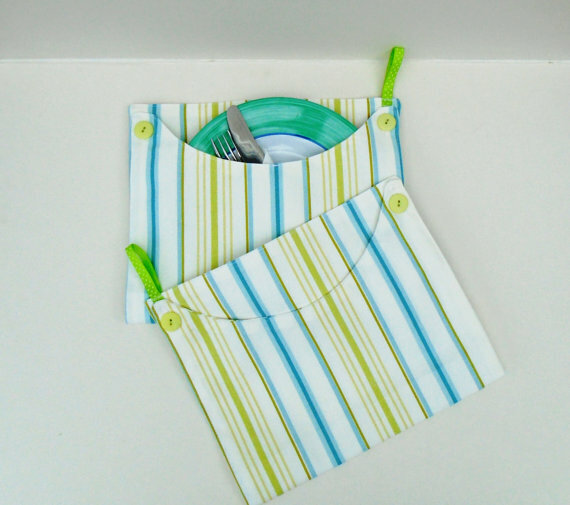 Place setting carrier available on Etsy, already made! Photo courtesy of Etsy. Of course you could make one yourself, but sometimes there are too many projects in line already, and I thought this one was cute. 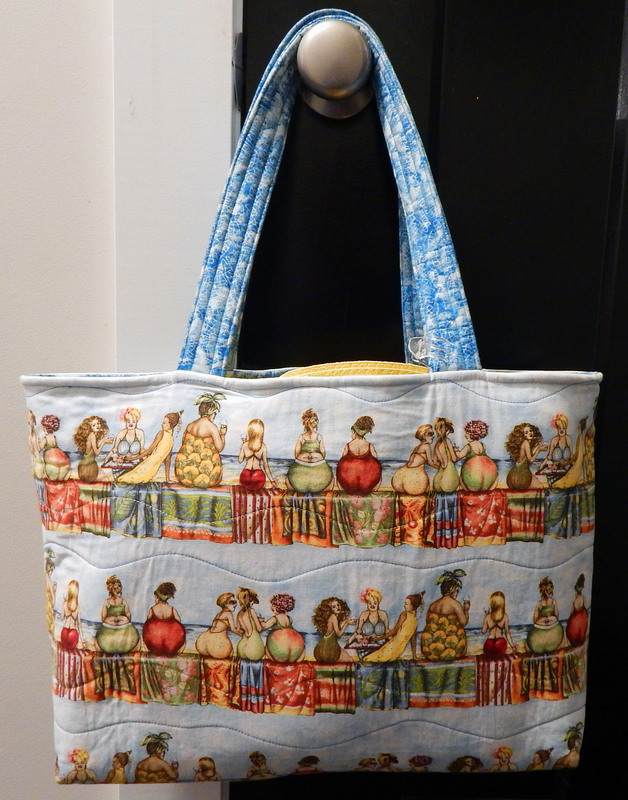 If you go searching for a pattern for a place setting carrier, most of what you’ll find are patterns for casserole carriers. Those are good, too, but not what I wanted! I’m pretty sure I can just develop my own place setting carrier by taking one of my dinner plates as a starting point for size and going from there. If I end up developing a pattern, I’ll let you know. 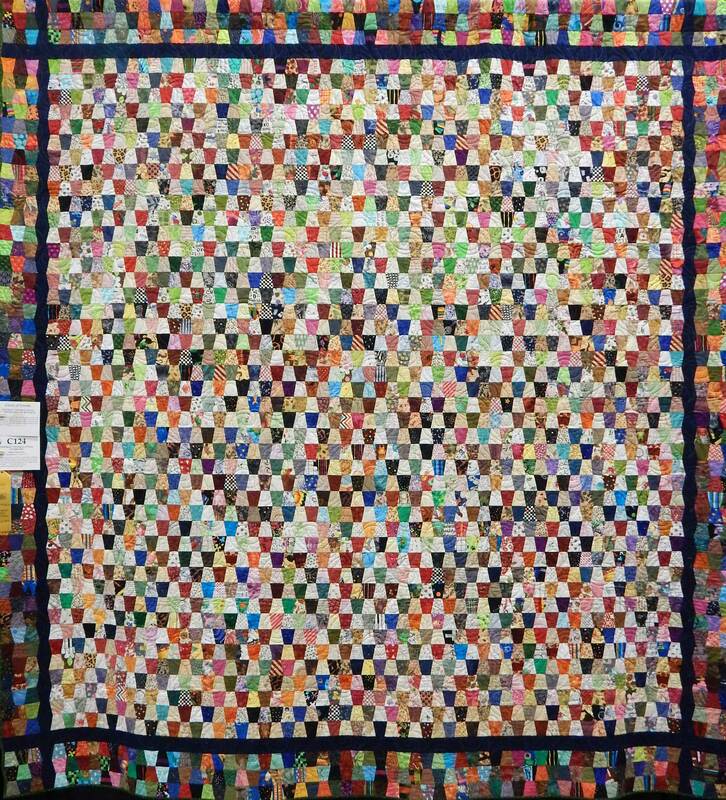 The Vermont Quilt Festival, which I attended in June, was wonderful, as usual. Here are a few of my favorites of the more traditional type. 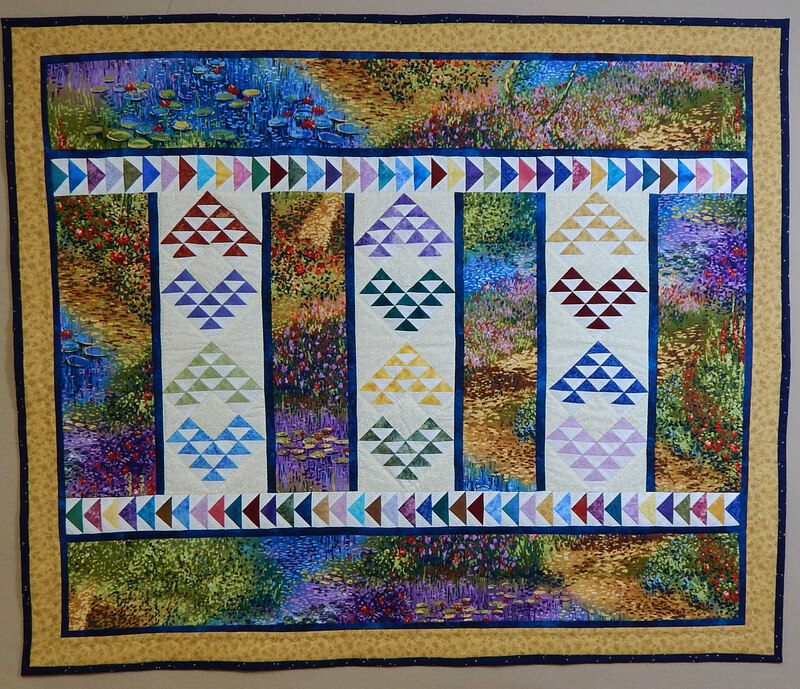 Port Kent Beauty, by Alyce Fradenburg (who is from Port Kent, NY) I like how she put black triangles at the top to give the design a point there. Twinkle Twinkle Little Tumblers, by Sharon Shea Perry. 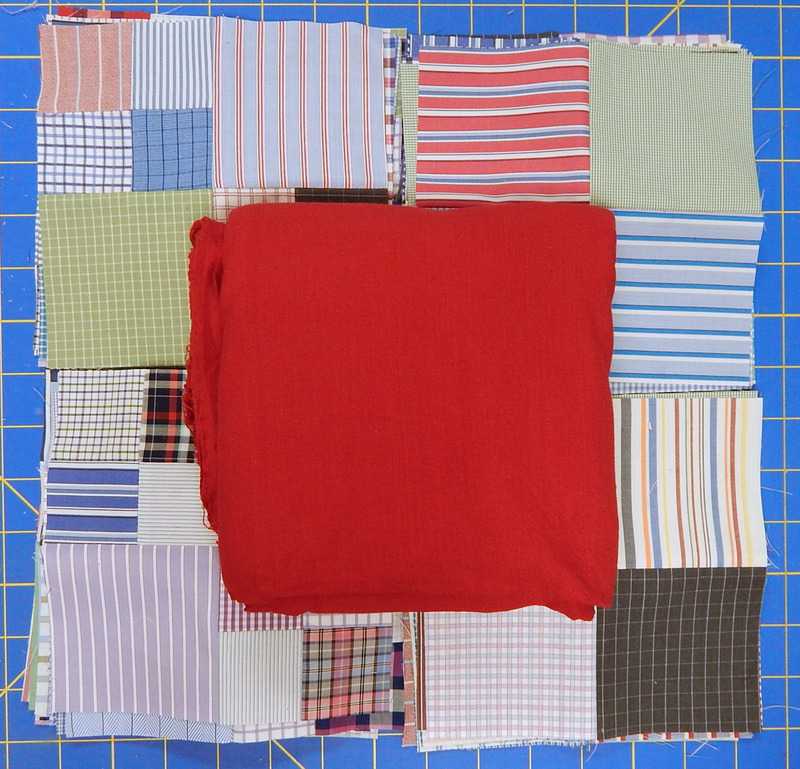 There are 3328 tumblers in this quilt, and they are tiny! I love how she made the border darker. Night Sky, by Joan Duffy. 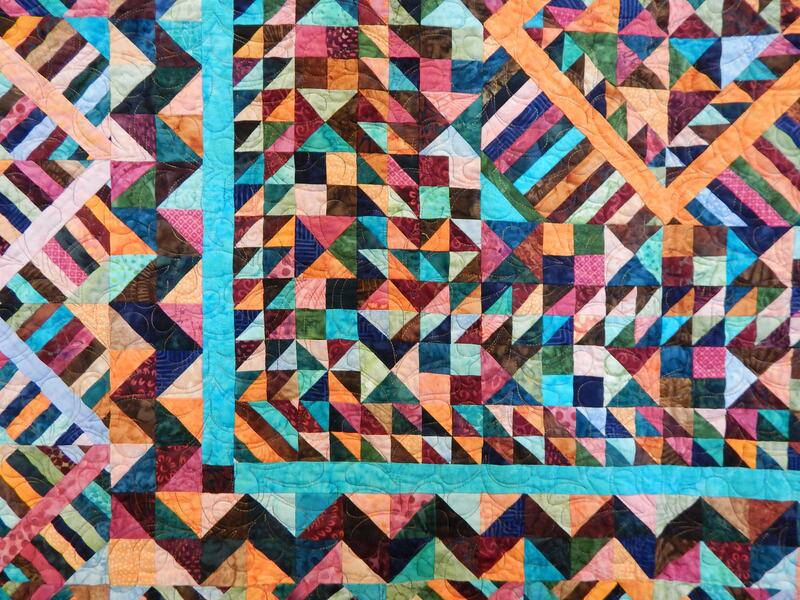 This was eye-catching and beautifully pieced. Barnum & Bailey, by Daisy Dodge. This had many TINY pieces! Detail of Barnum & Bailey. 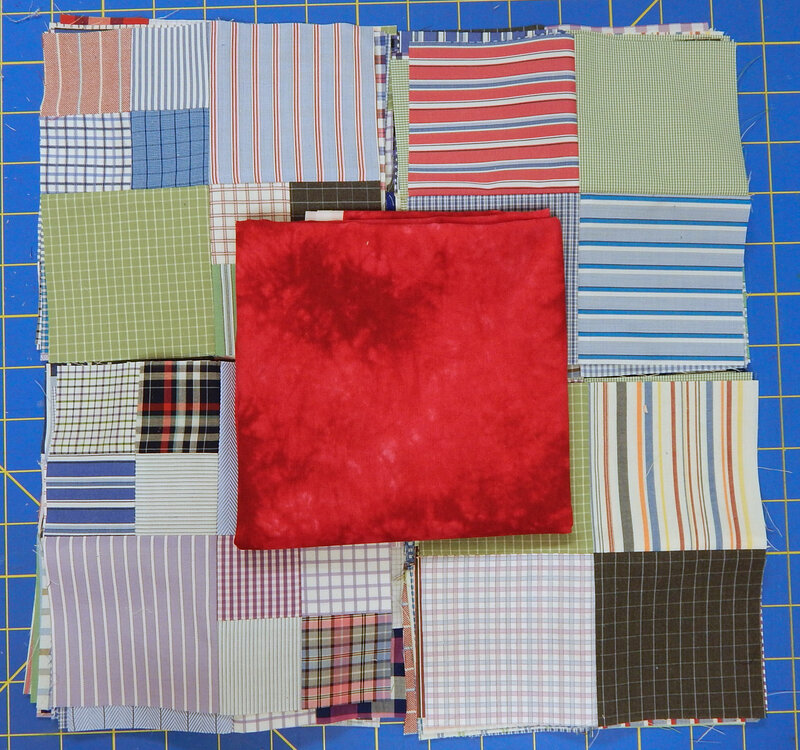 Those HSTs finish 1/2″ square! 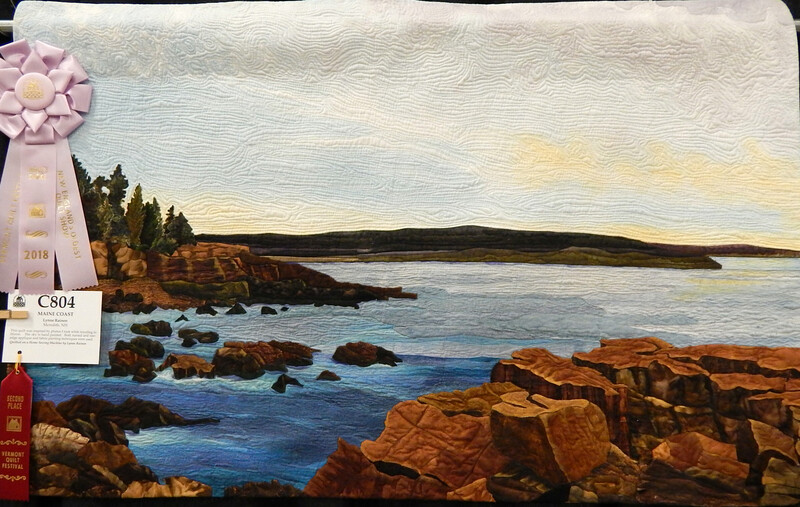 Buzz Saw, by Bonnie Morin. Look at the detail below! 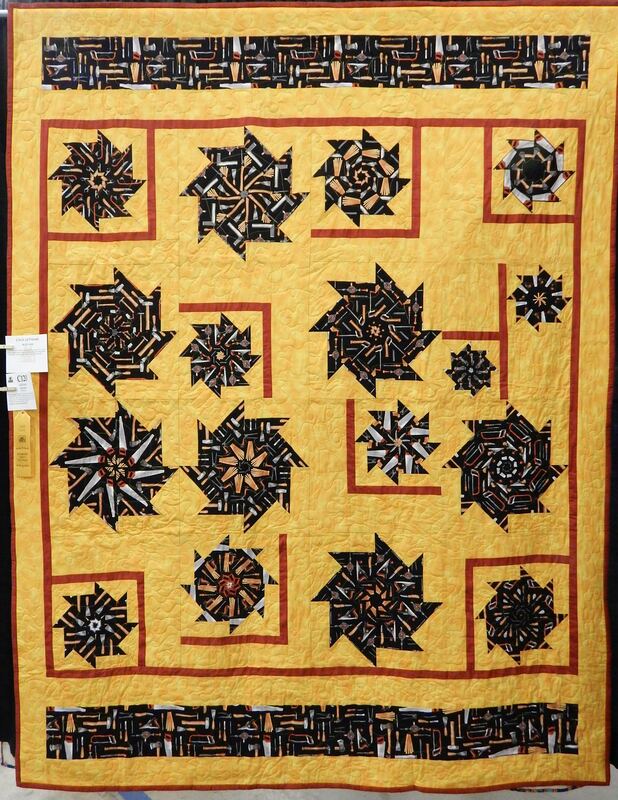 As always, there were several special exhibits, including quilts by the teachers and some modern favorites from the last QuiltCon. More on those later! 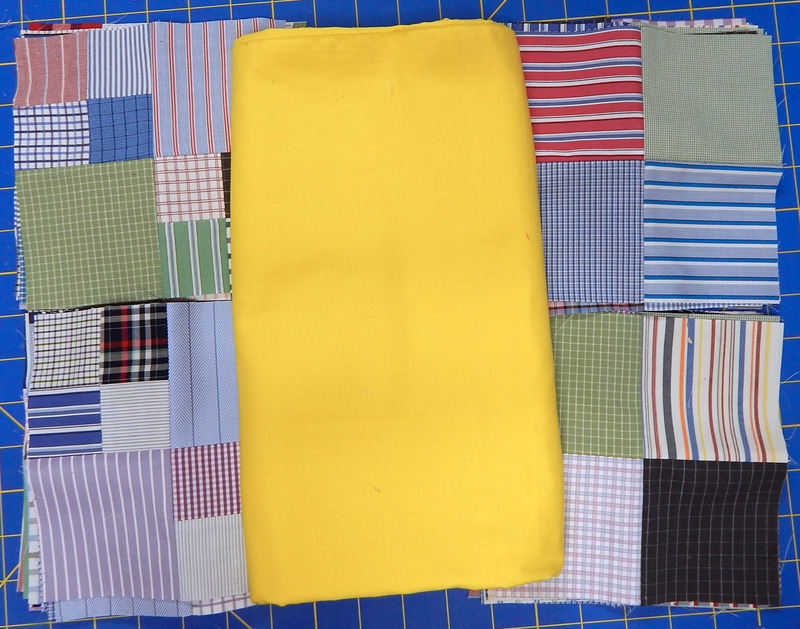 I have been saving my husband’s worn out dress shirts for years to use the fabric for quilting. 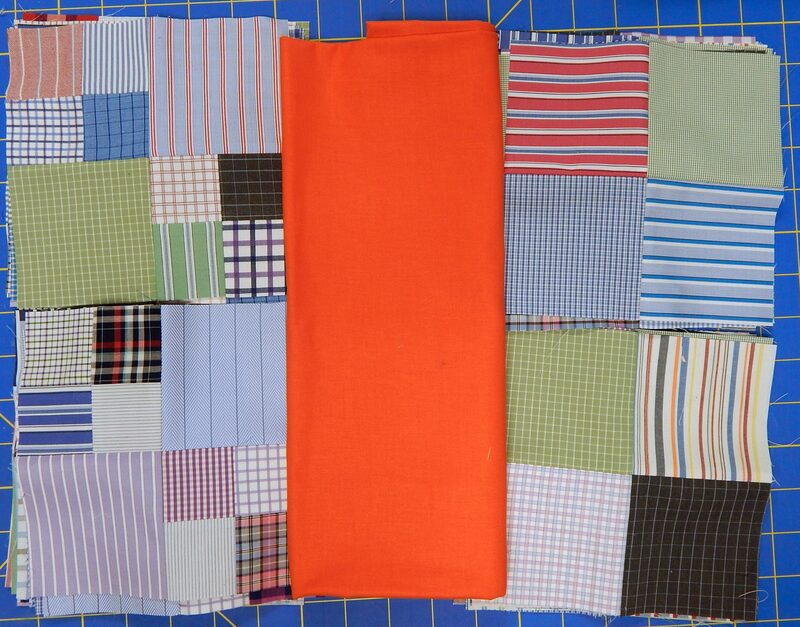 They are too worn at the collar and elbows for him to wear to work, but there is plenty of good fabric left for quilts. 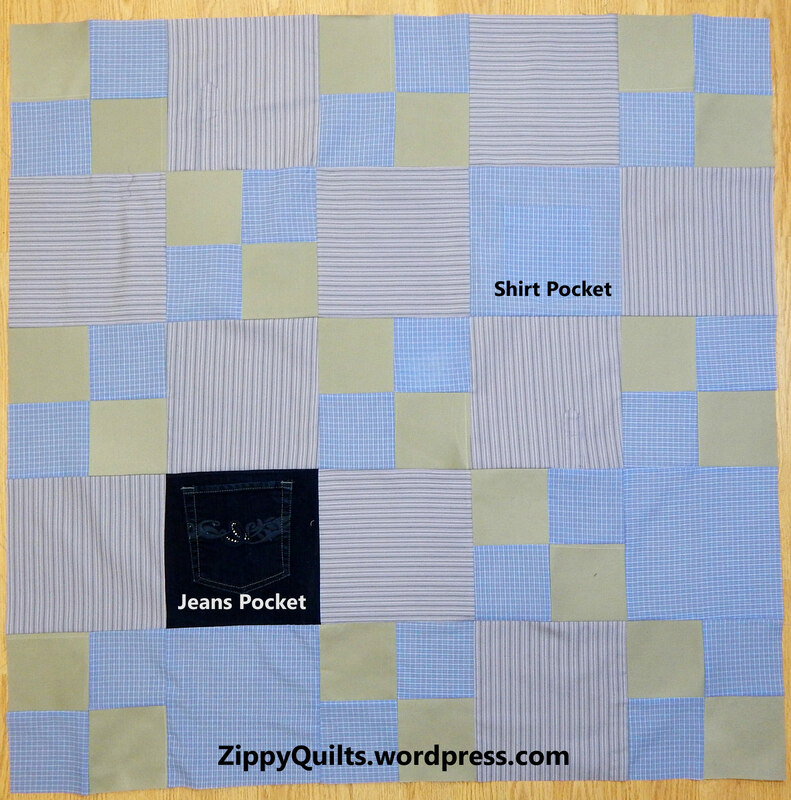 I made one quilt from them a year or so ago and used the pockets and plackets for interest. 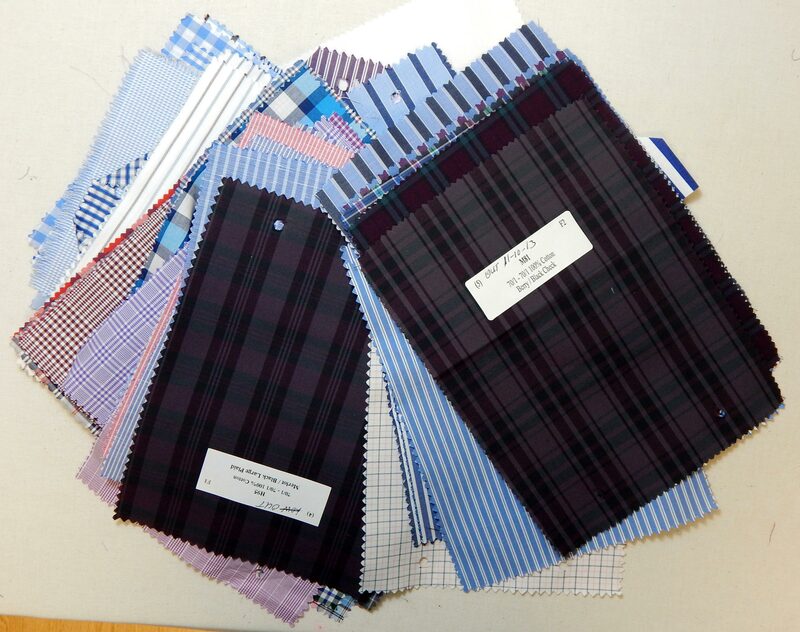 A friend gave me a nice stack of shirt fabric that she had acquired from a custom shirt maker as discarded samples. I’ve made the first two types of block and have arrived at time to make the blocks that provide the accent rows of tiny blocks. 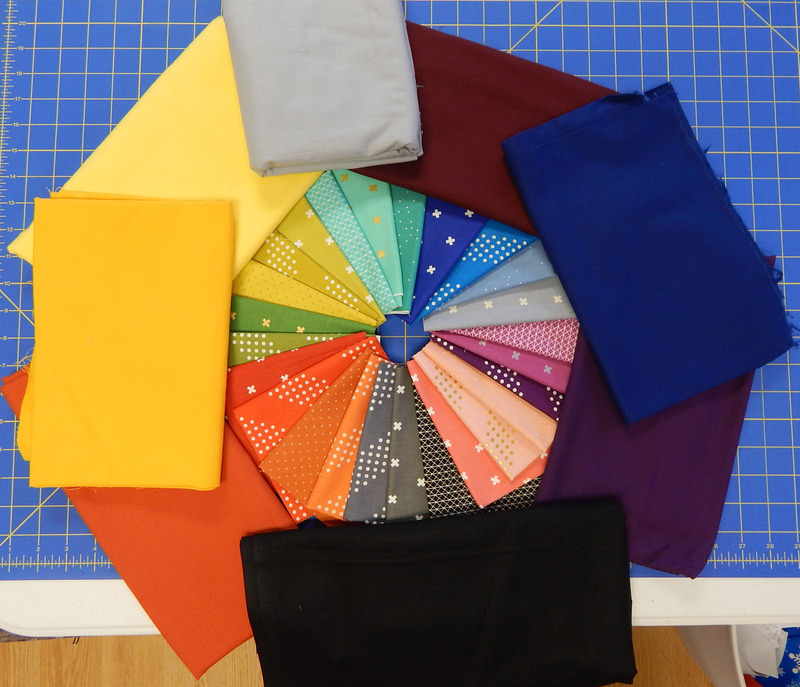 I don’t think I have a shirt bright enough to make these accents stand out, so I’m considering solids from my stash. Any opinions about which would work best? 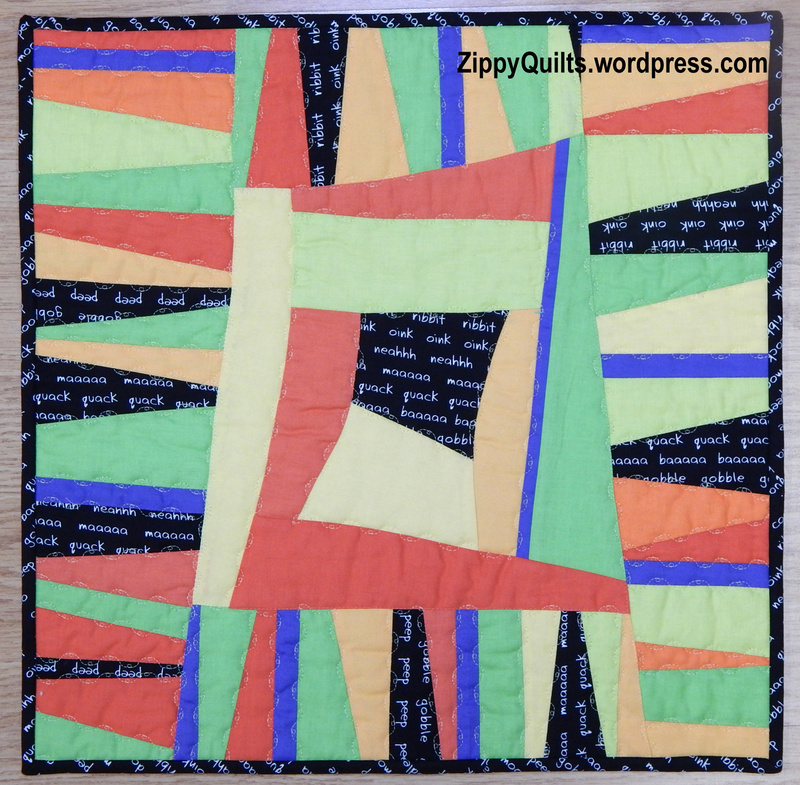 This marks the beginning of my sixth year of blogging about quilts. To celebrate, I’ve upgraded to a paid plan so you shouldn’t see ads when you view my blog. I don’t ever take advertising or affiliate links, but I was on the WordPress free plan, so they were allowed to put ads on my pages. Those ads should be eliminated now. As I start the next year, I’d like your opinion. What would you like to see/read about on the blog? Please leave me some comments! And thanks for reading–I appreciate my readers, and many of them have become friends. 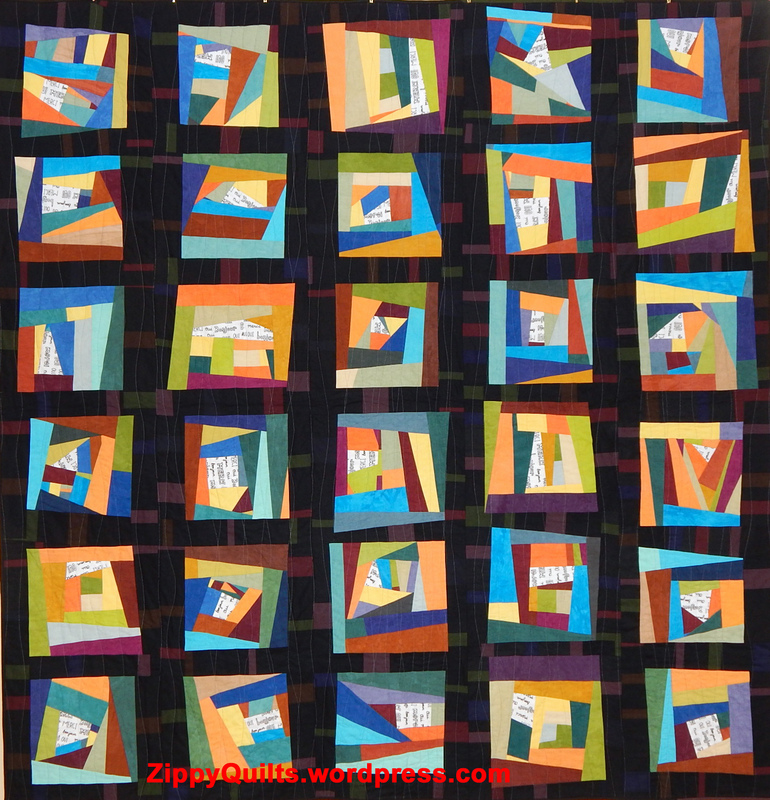 Today I’m sharing a few non-quilting items that I have found useful for quilting. Clear Plastic Trash Bags. 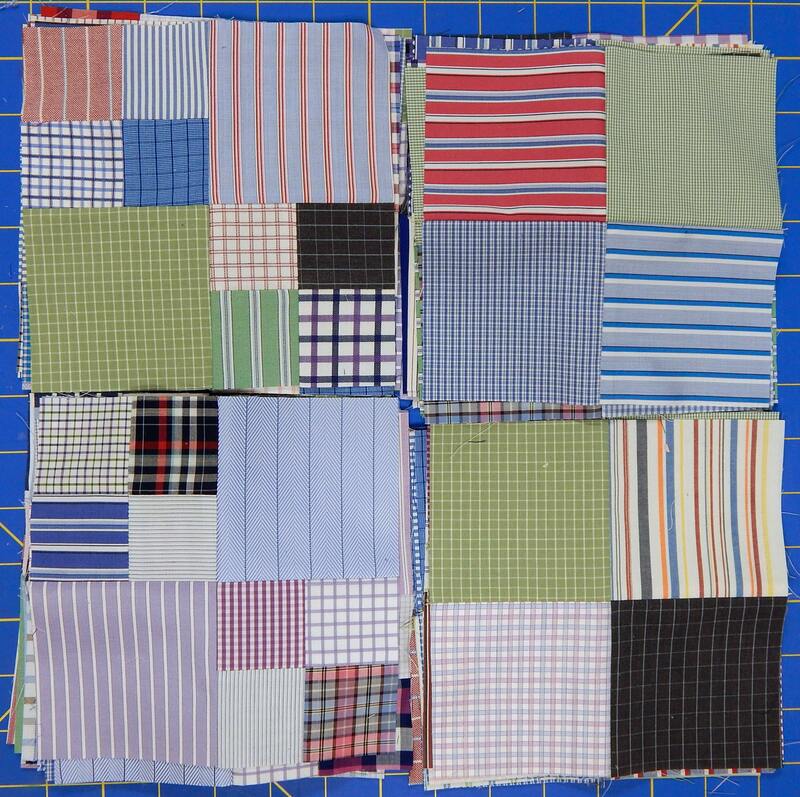 I keep a package of these handy and wrap any quilts or fabric I’m going to mail in one of them. I seal it with clear packing tape. That way, if the box gets wet in transit, the fabric has some protection. 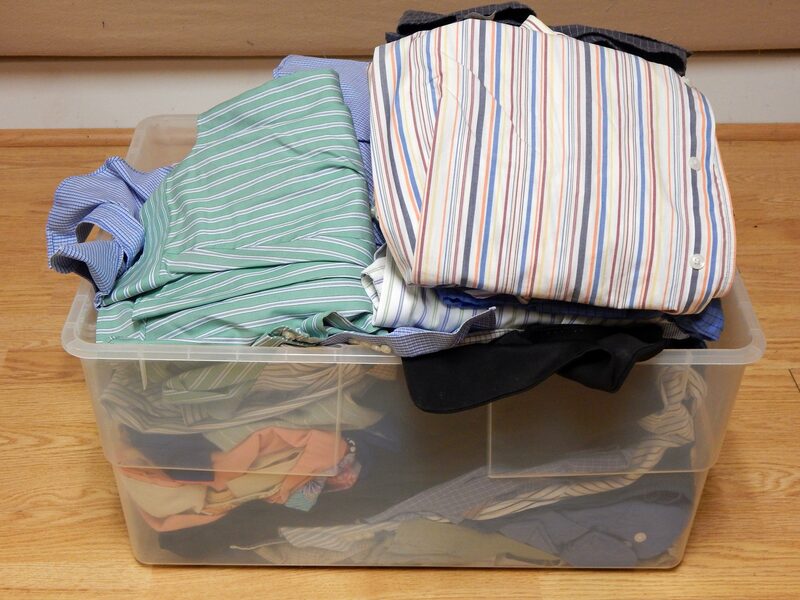 I won’t tell you how I learned that the trash bags you can’t see through are a BAD idea… Glad makes the clear ones in several sizes. Binder Clips. I have these in two sizes as a legacy of Judy Niemeyer’s classes, which require extreme organization. 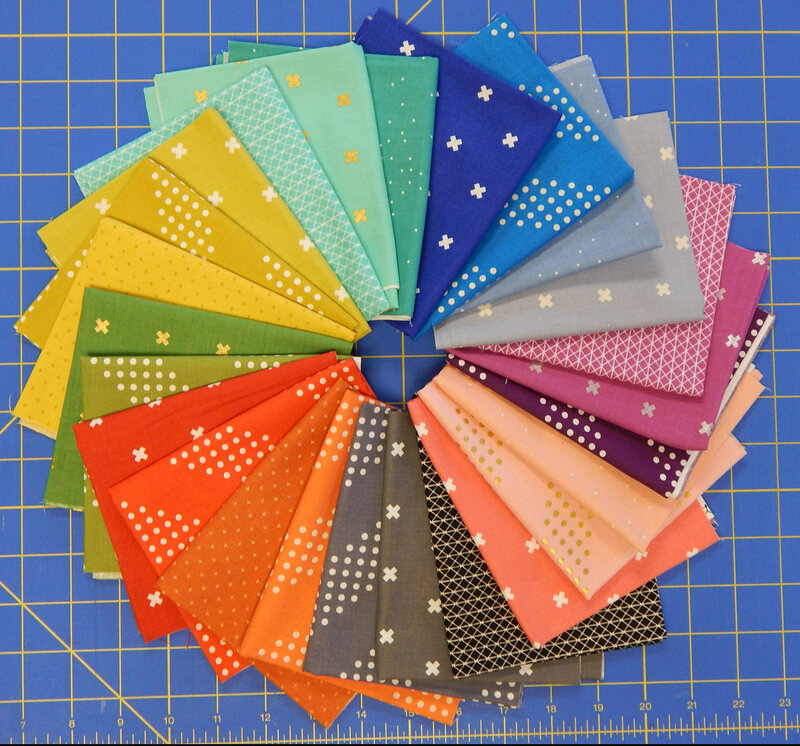 I now use them to hold binding in a reasonable roll while I’m storing it, to hold quilt pieces together when I’ve cut a bunch of the same size for a project, etc, etc. They’re pretty handy as chip clips in the kitchen, too–they don’t break like the usual plastic chip clips. You can find them at any office supply store. which is handy for the smaller diameter spools, for $1 at a store that will remain nameless. These also come in a larger size that works well for larger spools. 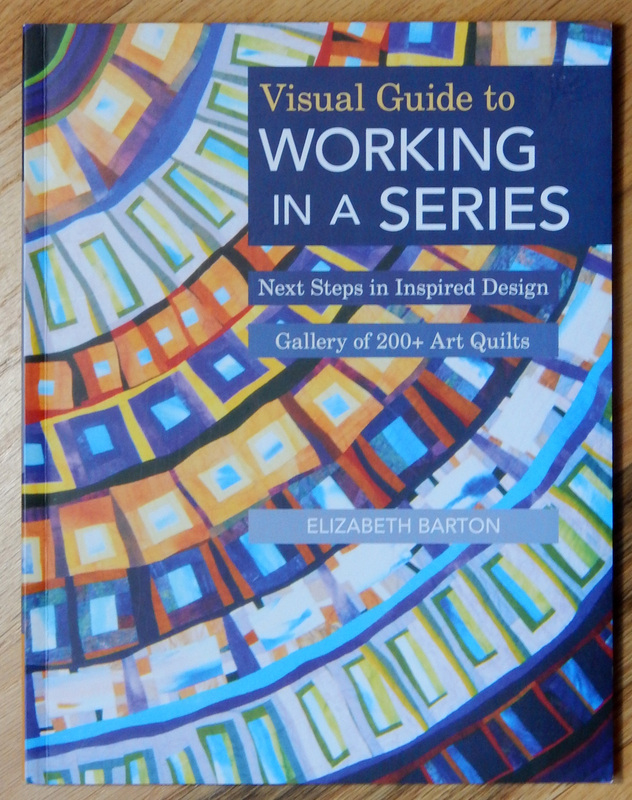 What non-quilting items do you find useful in your studio? 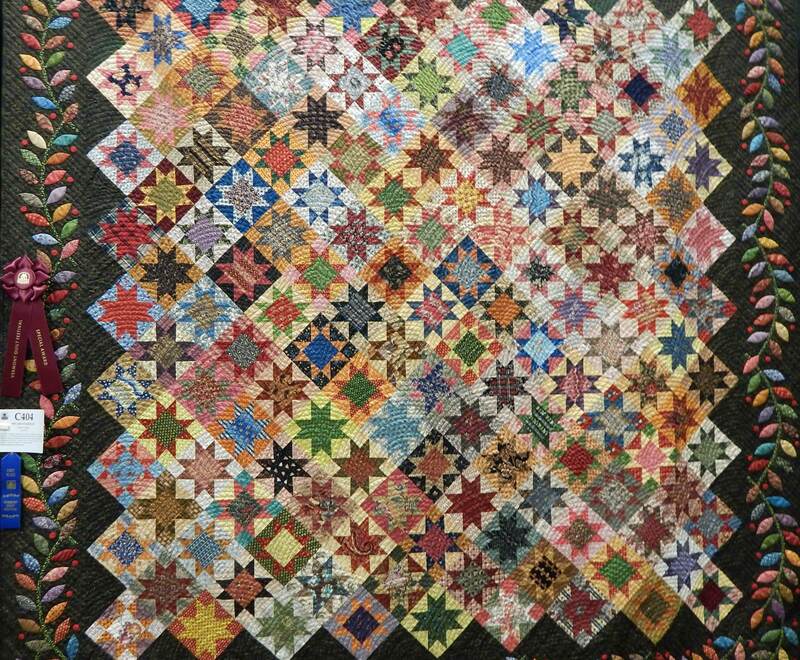 A friend started this quilt about 15 years ago and did a beautiful job, but quilting didn’t “take” with her, so she had this unfinished quilt but not the expected huge piles of fabric, tools, threads, patterns…well, you know. 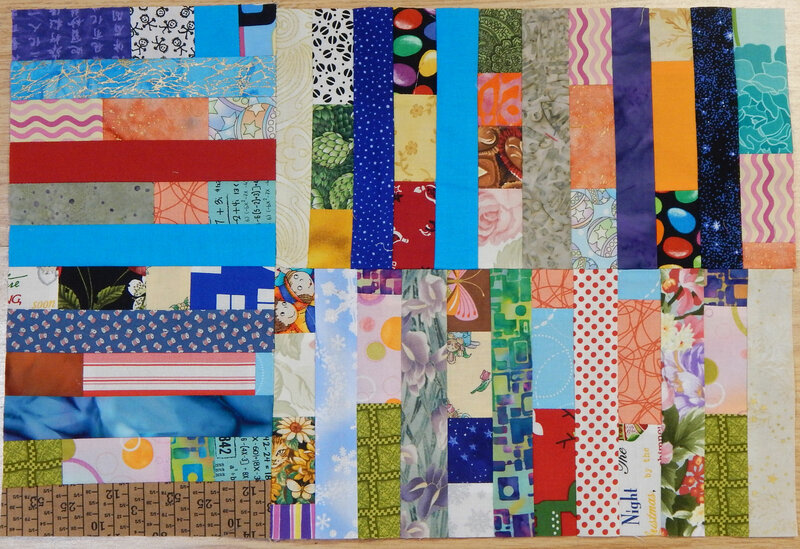 The wonky shape is my camera angle, not the quilt! 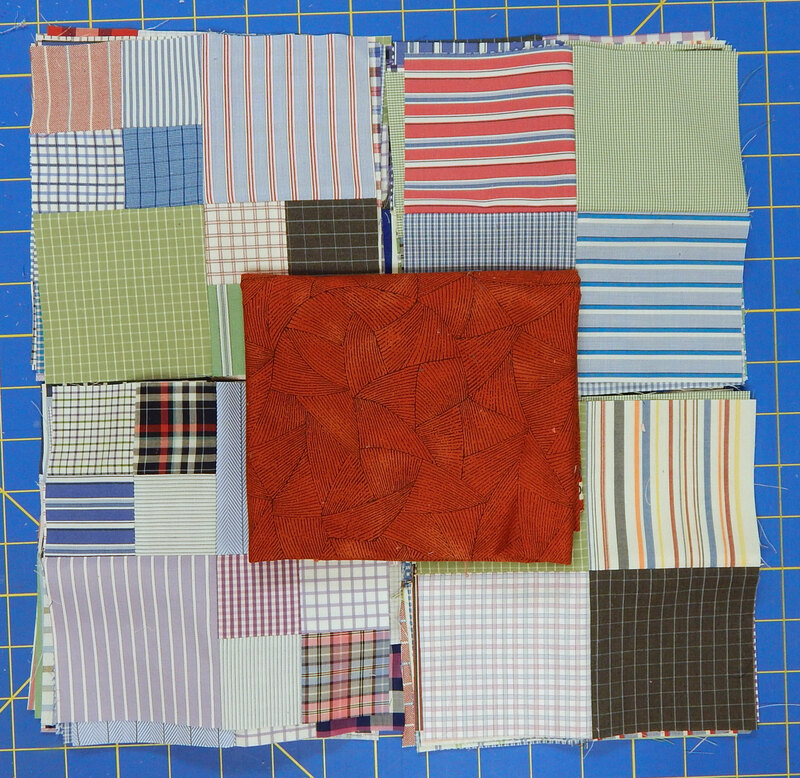 I left most of the hand quilting that was already done. As always, I learned a lot doing this. 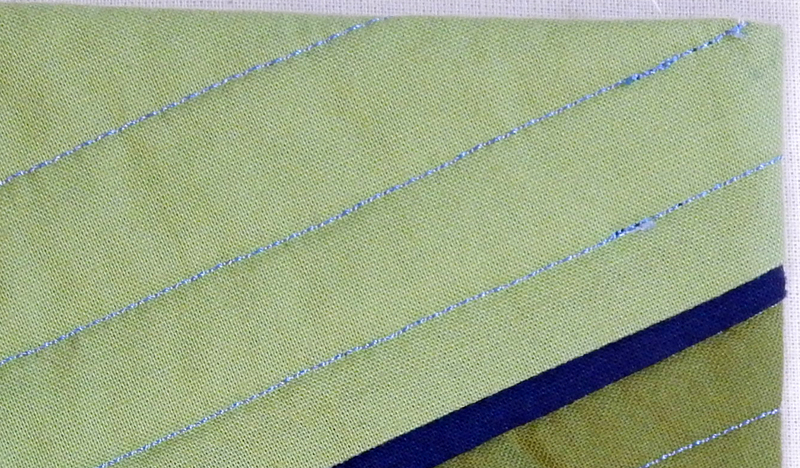 First, it was basted using those plastic tacks that were the latest in quilt basting at the time. 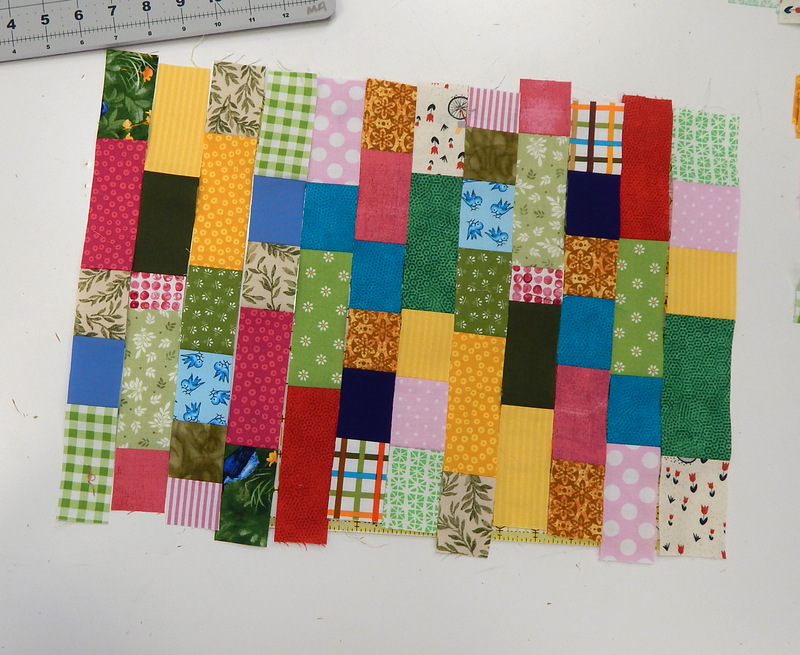 They didn’t hold the layers together as securely as the basting spray I now use, so there were some “challenges” in avoiding puckers as I quilted. Second, the batting was the fluffy polyester most of us were using at the time, and it isn’t nearly as stable as the Quilters Dream and Warm Company battings available today. It worked out just fine, but the whole thing moved under the machine needle more than I’m used to. 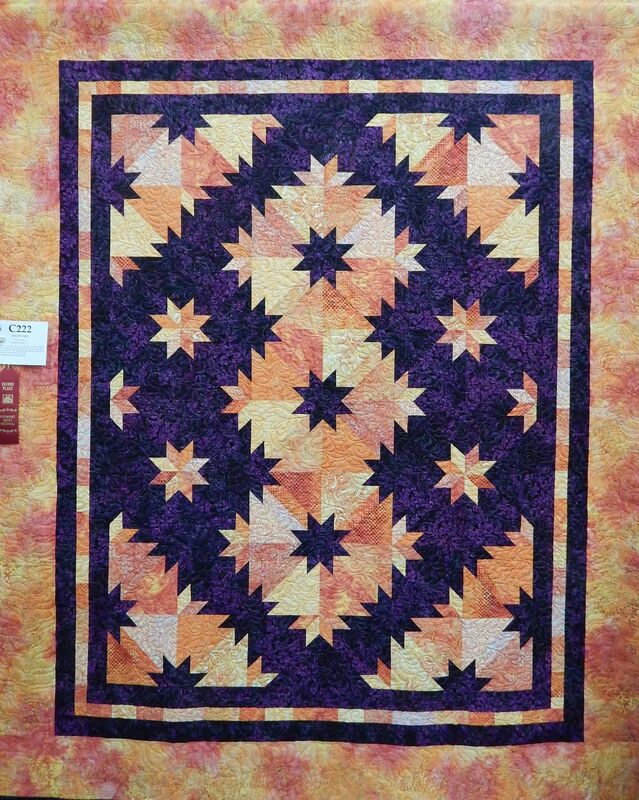 It was fun to see the changes in the technology of quilting since this quilt was made. And it gave me permission to finally get rid of my plastic tack device. More room for the other tools!